Boston University reached a deal with Related Beal, a local real estate developer, to enter nine buildings in Kenmore Square into a long-term ground lease, university officials announced Friday. The buildings are located on the north side of Kenmore Square, spanning from 648 Beacon St. to 541 Commonwealth Ave. and 11 to 19 Deerfield St., according to a press release. 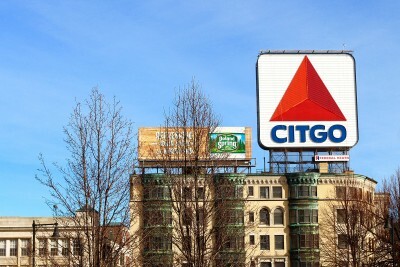 The building at 660 Beacon St. houses the Barnes and Noble bookstore and the iconic Citgo sign. The university sold the 310,000 square feet of commercial space at an undisclosed price, but the university will retain ownership to the land and will continue to be involved in the redevelopment, BU spokesperson Colin Riley said in an interview. Some buildings will be leased back to the university for two years while BU and Related Beal prepare for the ownership shift. The university is very pleased with the process, Riley said, and “any changes to the new building will go through a public process” with the Boston Redevelopment Authority and the community. Editor’s note: The Daily Free Press is one of the tenants in 648 Beacon St., one of the properties being sold.